Ukraine will sign a set of agreements with NATO on military-technical cooperation in intelligence, surveillance and other areas, Ukrainian Prime Minister Arseniy Yatsenyuk told his Cabinet. 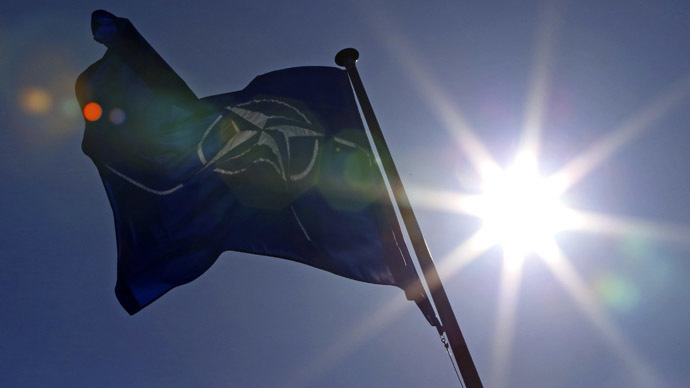 Kiev and NATO will sign a memorandum on cooperation in “control, communications, intelligence and surveillance” under NATO’s Partnership for Peace program, Yatsenyuk was cited as saying by Tass news agency. Another document will see the implementation of four trust projects, including military-technical cooperation, communications and new information technologies, the PM added. "Ukraine must restore its armed forces exclusively following the example of the strongest armies and strongest alliances that fight for peace in the world. In the first place, these are the standards of NATO, and we are moving in this direction," Yatsenyuk said. Ukraine is intensifying its ties with NATO in hopes of becoming a full member of the military alliance in five years’ time. The issue of Ukraine joining NATO was raised by then-President Viktor Yuschenko in 2008, but Kiev’s application to join the alliance was turned downed by the 26 member states. In 2010, then-President Viktor Yanukovich signed a decree securing Ukraine’s non-aligned status, ruling out NATO membership. But after Yanukovich was overthrown in a violent coup in February 2014, Ukraine’s non-aligned status was revoked. The nation will be able to consider NATO membership within five or six years, President Petro Poroshenko said before the New Year. Various polls conducted in Ukraine suggest that the majority of the population now supports the country becoming a NATO member. 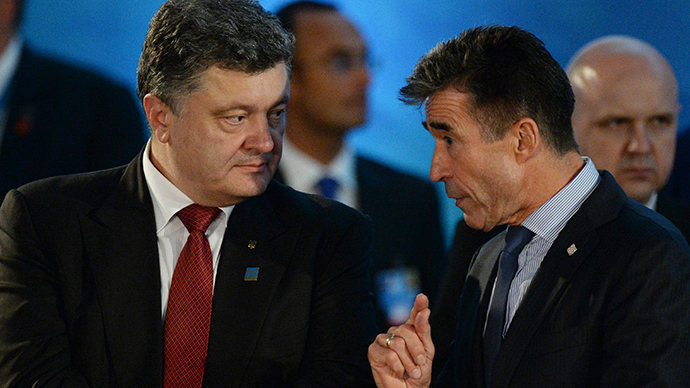 A series of reforms will have to first be implemented for Ukraine to meet NATO standards. NATO Secretary General Jens Stoltenberg outlined some of the criteria that Ukraine would have to meet before joining the bloc. 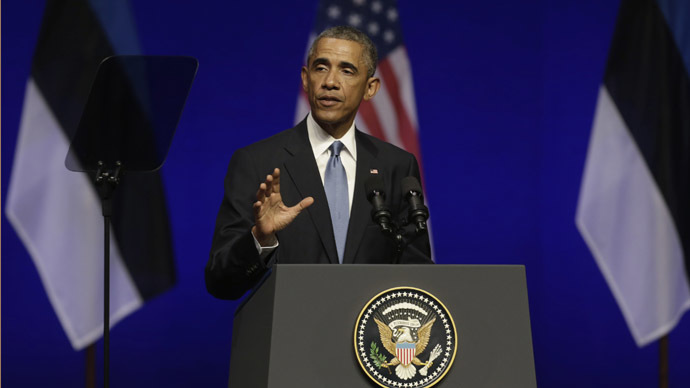 Firstly, it would have to combat corruption and improve the efficiency of state bodies, he said. Stoltenberg also said that the possibility of deteriorating relations with Russia should not deter Ukraine from joining the bloc. Moscow, which has always viewed NATO’s expansion to the east as a threat to its security, warned that it would cut all ties with the alliance if Ukraine joins. 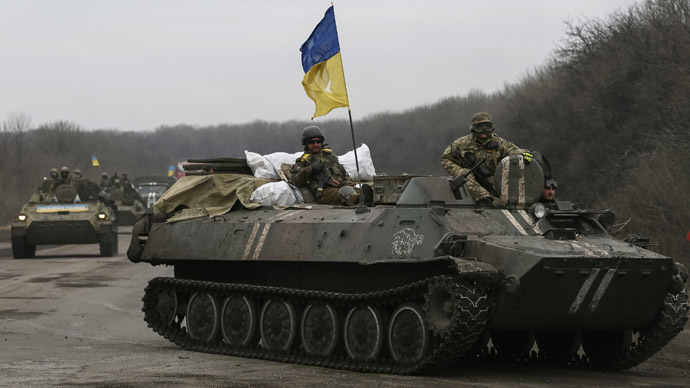 The Ukrainian military has been involved in a deadly conflict with the rebels in the country’s southeastern Donetsk and Lugansk regions, who refused to recognize the regime change in Kiev. Over 6,000 people have died in Ukraine during a year of violence, which only began to slow after Russia, France and Germany brokered a peace deal between the sides in mid-February.